Throughout the 2018/2019 programme year, Australian immigration has witnessed some massive changes. These changes range from new government, policy changes, the abolishment of the 457 visa, and new visas being implemented. Scroll the index below to find an in-depth summary of changes and what we predict will come in 2019. The TSS 482 visa was introduced from the 18 March 2018 replacing the 457 visa. The 482 visa is the visa to take the place of the 457, which is no longer being granted. The TSS has many features in common with the 457 visa (TSMIT, Market Salary) and also a number of differences (long term and short term list, SAF). This means that if you are applying through the medium-term stream, your 482 visa can be valid for up to 4 years. You will then be able to meet permanent employer sponsored visa requirements, which are not available to 2-year TSS visa holders. You should note that if you are applying under the Short-term stream, you will need to meet Genuine Temporary Entrant, or GTE requirements. There must be a genuine need for the nominated position, which must be on the 482 occupation list. The main reason for refusals is failing to demonstrate that the position is genuine and required for the business. The Skilling Australia Fund (SAF) is a levy that was imposed on any applications lodged on or after 12 August 2018. The SAF Levy contribution has been added to the list of costs which cannot be recovered or transferred to anyone other than the nominating entity (the sponsoring business or organization). If you are nominating an employee who already holds a visa and is moving to you from their previous employer, you will still need to contribute to the Skilling Australians Fund Levy. At the present time the RSMS has the most generous occupation list. With over 600 occupations, many of which are only on the RSMS list. The number of RSMS applications has dropped to such levels that several RCBs from Regional Australia have described the RSMS as dead. processing times often over two years. From an employer point of view this is a rip off. Business conditions can change a great deal in two years. They have to pay upfront and then wait up to two years for a result. High refusal rates; The Department has commonly refused nominations without even making a request for further information. This has obviously made the RSMS hard for employers and applicants to efficiently run their business and migrate to Australia. Minimum market salary rate: Employers must pay the Australian market salary rate and meet the Temporary Skilled Migration Income Threshold. Set at $53,900 as at 12 April 2016. Residency: The eligibility period to transition to permanent residence will be extended from two to three years. Work experience: At least three years’ work experience relevant to the particular occupation will be required. There has been a large amount of complaints and lobbying from employers in regional areas about the continued skills shortages and the inflexibility of current visas to address the shortages. The current federal government has introduced strong support for DAMAs to be a way for regional areas to fill their skills shortages. Fix integrity issues with more monitoring post grant. This will be the best way to ensure compliance is taken seriously by employers and applicants. Reduce experience requirements to be better matched to what is realistically achievable for employers to be able to recruit. For example, one year of work experience. In 2018, access to the ENS has been further restricted, with the ability to do Temporary Transition for the TSS visa holders to be only for the MTSOL occupations. Not to mention that in 2018 the Skilling Australia Fund was implemented to the ENS 186 visa. Under the new TSS 482 visa, applicants are required to work for three years for an employer on an MTSOL list occupation, to be able to apply for PR through the Temporary Transition 186. The processing times have become much longer for ENS 186 and RSMS 187 in January 2019, going into 2019. If the aim of employer sponsored applications is to fill skills shortages, then the question of “how many employers can wait 2 years?” needs to be asked. o payable in full at the time the worker is nominated. I believe the Skilling Australians Fund is going to be a big disappointment in terms of raising Government revenue. This is because the amount of money the SAF raises is linked to the number of employer sponsored visas lodged, and the number of visas lodged is likely to be much lower than in previous years due in large part to high cost of the SAF. The SAF is paid upfront at the nomination stage, prior to the decision being made. This means it is paid, even when the application is unsuccessful. When a large amount of money is paid, often with no result for the employer paying it. If the employer pays the SAF, but the nomination is refused, then they feel like they have been robbed by the government. It is akin to the no service for payment scandal that has arisen in the area of super from the Banking Royal Commission. However, this fee is being taken from Australian employers by the Australian Government. Furthermore, the amount to be paid by employers will itself be a strong disincentive to go ahead with employer sponsored visas. Another consideration on the numbers of visas that will be lodged, are the changes to visa criteria for the main types of employer sponsored visas from 18 March 2018. All Subclass 482 TSS visa applicants (formerly the 457 visa) will need at least 2 years full time experience prior to the application being lodged. All Subclass 187 RSMS and Subclass 186 ENS visa applicants will need at least 3 years of full time experience in the role prior to the visa being lodged. Both of these requirements will reduce the number of applications, specifically international graduates who are only getting a 2-year Subclass 485 Temporary Graduate Visa to seek full-time employment after their studies are completed. The SAF levy is effectively a tax on employers for lodging employer sponsored visas, which will reduce the number of employer sponsored visas. Processing times of close to two years for Direct Entry RSMS and 16 months for the ENS 186 are too long. More of the above factors have led to employers being unable to fill many employer sponsored needs, with one of the solutions being the rise of the Designated Area Migration Agreements (DAMA). The Designated Labour Agreement stream (DAMA) is for occupations are not on the TSS list. The employer applies for a Labour Agreement to allow them to sponsor specific occupations not on the list. A Designated Area Labour Agreement (DAMA) is a type of labour agreement that is for a Designated Area or type of industry. David Coleman has now extended the DAMA for another five years, providing flexibility for states, territories or regions to respond to their unique economic and labour market conditions through an agreement-based framework. The advantage of a Labour Agreement is that it allows access to semi-skilled occupations such as aged or disabled carer; agricultural and mobile plant operator; baker; bar attendant – supervisor etc. There are currently two DAMA’s; The Northern Territory DAMA and the Great South Coast DAMA. The Northern Territory DAMA was implemented in 2015 and was renewed for another 5 years on 31 December 2018. The Great South Coast DAMA, represented by the Warrnambool City Council, was recently approved but yet to be implemented in 2018. The Great South Coast DAMA covers the Moyne, Warrnambool, Corangamite, Colac-Otway and Southern Grampians shires. The DAMA is still a fairly new option as it was only implemented in 2015. Since, it has allowed many struggling businesses to fill positions. There is more to follow in 2019 as in time, larger jurisdictions may request DAMAs. Places like Cairns, Townsville, Geelong, Hobart, and Canberra. The difficulty in accessing Employer Sponsored Visas has turbo charged interest in specialist temporary visas. There has been an increase in interest for the Training visa 407. This visa is to benefit of the applicant, by allowing them to gain skills through the employer. The 408 visa remains important because it has many different types of activities that are not suited or sometimes not included on the 457 list. For example, the activities include, Entertainment, Sports and Religious Workers. The 408 visa is a multi-streamed specialist visa. The 408 visa includes 10 streams, all at low costs and fast processing times. A welcome addition to the 408 visa was the South Australian Supporting Innovation Visa (SISA) also know as the SA Entrepreneur Visa. South Australian immigration has a new investment visa; The subclass 408 Temporary Activity – Supporting Innovation in South Australia stream will run from 21 November 2018 to 30 November 2021. The strong focus of this visa on entrepreneurship moves migration in South Australia into a new space, as the South Australian government strives to stimulate innovation. The Supporting Innovation in South Australia (SISA) - Temporary Activity (subclass 408) visa is aimed towards promising and successful overseas entrepreneurs. According to Migration SA , South Australia will be looking for migrants who are innovative, have an entrepreneurial idea or concept, or are working on an innovative early-stage business ideally with a Minimum Viable Product (MVP). In 2018, the base level of points requires for any GSM visa (189, 190 and 489) was raised from 65 to 70 in the first month of the program year. This left many potential applicants scrambling for more points, with many trying to get higher English points and many looking at getting state nomination for a 190 or 485. This essentially allowed English language testing systems the opportunity to making more money. 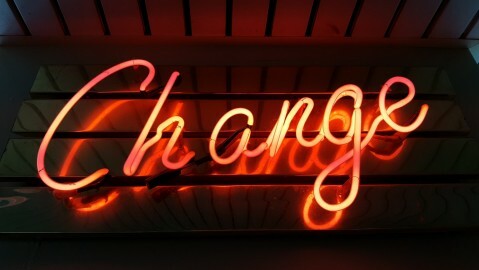 There were many announcements of changes to state nomination requirements, as the states and territories struggled to adapt to the increased interest. The application period for the ACT 190 nomination closed earlier this year on 29 June 2018 due to an influx of applications, specifically international students. It was no surprise that the ACT would have been overwhelmed with applications, as just before suspending the ACT, Home Affairs had also cancelled the popular subclass 457 visa. The ACT re-opened in November 2018 with a new monitor system, in order to better control who they nominate. The Tasmanian government needed to make a number of changes in order to adapt to the growing demand of applicants. Early in 2018, Tasmania raised the minimum score on the general points test to 65 from previous 60 for applying for skilled visas to try and counteract the overwhelming number of migrants and applications. Western Australia re-opened a limited list of skilled occupations. The points requirement for skilled independent 189 visas climbed higher, but then dropped with the recent invitation rounds under new Minister David Coleman. While the minimum points requirement stayed at 70 through the first couple months, the majority of visas granted were in the 80 points range. Through the SkillSelect Invitation Round Results we are able to see that once Minister David Coleman was appointed, there were not only twice as many visas being granted but more being granted at the minimum requirement as well. The challenges have continued this year for commerce/business graduates that had planned to apply for visas as an Accountant. The points required for Accountants climbed from 70 to 75 points in 2017 then to 85 in July 2018 but now has levelled off at 80 points, which is still very high. This is proving difficult for many graduates, who having just done a professional year for an extra 5 points, might still not have enough. Accountants have traditionally been one of the most well-represented occupations in Australia’s skilled migration numbers. Meaning accountants often face highest points requirements. In recent years, the Department of Home Affairs has made it more difficult for accountants to secure Australian skilled visas. Most notably, the Department has decreased the allocation of invitations to apply for accountants, and also increased the minimum points requirement. This has had a flow-on effect on the ability of accountants to secure state sponsorship, as states are faced with increasing demand from accountants seeking to boost their points scores. The 485 Graduate Work Stream is continuing to be very popular and provide between two to four years of residence and work rights in Australia after graduation. This popularity is set to continue with student visa numbers rising. Find out more about new streams and their requirements. There are a large number of visa options in this space. While there are still applications in the Significant Investor Visa (SIV), the overall numbers of applications are much lower since the change in July 2015 that requires $500,000 to go into venture capital and high growth equity funds. The Entrepreneur visa (referred also as the 188E visa) was introduced in September 2016 and has turned out to be a dud, with only three granted applied for so far. This is due to the funding requirements being through third parties being unachievable. In 2018, I have seen a continued growth in interest in three types of visa; the Business Talent Significant Business History Stream (subclass 132), the Business Innovation Stream (subclass 188A), and the Business Investor (subclass 188B). The subclass 132 visa Significant Business History Stream is a single stage, straight to PR visa. The criteria includes applicants to have actively managed a business which they have some ownership of, where the turnover is at least $3,00,000 and combined personal and business assets are at least $1,500,000. In the last two years, 2017 and 2018, approximately half of all 132 visa nominations have been by the SA government. This is because South Australia has done a great job of promoting itself through the 132 market. The SA government has also offered some of the most accessible criteria to achieve. The subclass 188A visa allows the applicant to operate a new or existing business in Australia for up to 4 years and 3 months. To be granted the subclass 188A a major requirement is that the applicant must have total net business and personal assets of at least $800,000AUD. Once the applicant has fulfilled the 188A requirements they are then eligible to apply for a permanent Business Innovation and Investment (Permanent) visa (subclass 888) Business Innovation stream. The subclass 188B visa requires a recent history of managing investments, total assets of over $2,250,000, and the ability to invest $1,500,000 in Government bonds. This is seen by some applicants to be a lower risk and less effort path to PR than the 188A which involves buying or establishing and actively managing an Australian business. There is the opportunity for genuine entrepreneurs to pursue an Australian visa through the Venture Capital Entrepreneurs Stream of the 132 visa. The 132 visa grants permanent residency and this is a big advantage over the two stage 188 visa to 888 visa. A business operating in this space with experience in the 132 visa is Southmore Capital. One of the main challenges for Business Visa holders in 2018 may have been purchasing property. Buying an Australia property as an immigrant on a visa can be difficult. Whether you are a permanent resident or a temporary resident, there are many visa requirements as well as Foreign Investment Review Board (FIRB) requirements a migrant must be aware of. When investing in Australian property temporary residents, foreign investors, and even visa holders may be approved to purchase using home loans. Moreover, there are lots of fees, duties, and taxes that are easy to miss but cost a lot. In 2017 the DIBP was undertaking a Review of Australia’s business, investment and talent visas. This involved the opportunity for Stakeholders such as AUSTRADE and the Migration Institute of Australia (MIA) to make submissions. The findings of the review have not been released. It is possible that changes could be made to the Business Innovation and Investor Program. Every year since 2010, the total amount of student visas issued has risen. In 2010-2011 there was 250,435 student visas granted, compared to 2017-2018 which granted a total of 378,282. For the current 2018-2019 year we can see that from July 2018 until November 2018 there have been 154,044 student visas granted. With a high number of students being accepted each year the lag between a student's enrolment and graduation continues to grow. The grant of subclass 485 visas, means that the number of international graduates working in Australia is set to rise even further in coming years. An estimated 220,000 of the 400,000 temporary migrants in NSW are international students. The majority of them study at university or private vocational colleges in Sydney, generating the state's second largest export industry worth $10.3 billion in 2016-17. On the other hand, Western Australia has been struggling to attract students. Moreover, WA has been highly restrictive in promoting independent skilled migration. The skilled migration list has only 18 occupations that are all dedicated to nursing and medical practitioner occupations. In an attempt to counteract this, the Government of Western Australian has announced they will be implementing a Graduate Skilled Migration List that will give certain international students a pathway to skilled migration. There is still significant rates of refusals, with from what I have seen from those contacting me, Home Affairs refuses many visas based on their finding that Genuine Temporary Entry (GTE) criteria have not been met. Most states and territories have increased the number of international students with the tightening of Employer Sponsored requirements. Partner visa applications continue to be in very high demand. In 2019, the actual date of implementation for any changes has not been announced but is expected anytime within the first 6 months. This may be one of the reasons the Department of Home Affairs has implemented increased sponsorship requirements. Recently, legislation has been passed but not yet implemented. The legislation will impose that all sponsors for family visas will be required to be approved before visa applicants can lodged an application. Meaning, all applicants must now receive police clearances for all sponsors. Going into 2019, if you are a current visa holder in Australia and wanting to lodge a Partner Visa in the future, you may not be able to lodge onshore if your partner’s sponsorship has not been approved. This will mean you will have to go offshore at the end of your visa expiry. If you are in a relationship with an Australian Citizen or Permanent Resident but are living outside of Australia it will mean that you will need to wait until your partner’s sponsorship is approved before you can lodge the Partner Visa. This will mean extra processing times for you to come to Australia. Expect further changes for Partner visas in 2019. 26 Months 95% of applications decided. After a 6-7 month blowout in 2017/2018, the processing times for Contributory Parent Visa has not fallen for 2019. Below are Home Affairs figures for the past three years. 39 Months 95% of applications decided. 46 Months 95% of applications decided. This is a major concern for those with applications lodged and in the pipeline. Parent visa applicants must meet the health criteria at the time of decision. So, if processing takes a number of years, then more applicants will develop health conditions and then be refused. Further, the Contributory Parent visa has the highest visa application charge, with the second instalment being $43,600. This contribution is a lot to pay for a trend of poorer service by the DHA. Good news. The announced longer durations (5 year) temporary parent visa was passed by Parliament on 28 November 2018 and should be implemented in the first half to 2019. The first version of the visa announced in 2016 provided that applicants would be able to apply for a three-year visa for a fee of $5,000, or a five-year visa for $10,000. There was also going to be the option of a single renewal for another five years at the same cost. The high cost of the visa means that many Australian PR holders will continue to choose a 2 year family sponsored visitor visa, which only has an application fee of $140. We await the regulations and policy to be released in 2019, so as to be able to confirm the details of the visa. With the new Minister David Coleman, the number of Australian Citizenship grants has increased. “Minister for Immigration and Citizenship, David Coleman said over 50,000 applications for Australian citizenship have been approved in the first five months of the current financial year, which on a pro-rated basis is significantly higher than the applications approved last year. With both major political parties moving into election mode, for a Federal Election in mid 2019, the chances of further Australian Citizenship changes in 2019 seem low. The number of cases for visa cancellation has been on the rise due to the step-up in monitoring and integrity checks by the DIBP. Visa application cancellations have been on the rise since the Migration Amendment (Character and General Visa Cancellation) Bill 2014 was introduced. In 2018, the number of visa cancelations has begun to drop slightly, but still remain high. As illustrated by the Department of Home Affairs, the application refusal and visa cancellation numbers have increased significantly since 2014 but dropped by only a small amount in the 2018 year. Has your Australian visa application been refused or your visa cancelled? 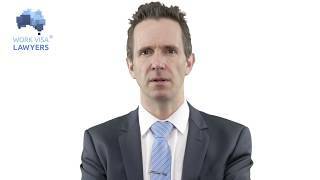 Work Visa Lawyers can help you through the appeal and review process. It is important to seek migration advice immediately as it is very important that you deal with a visa application refusal or visa cancellation before the deadline. It is dreadful for visa applicants to receive a visa application refusal notification from the Department. Especially for onshore applicants, this might mean that you will have to leave Australia and return to your home country. The AAT is an independent review body that can review administrative decision including visa refusals under the Migration Act. Who is the person or organisation eligible to submit the review application? Do you have a strong case for the review? Between 1 July 2018 and 31 December, AAT Caseload Report outlines that the ATT received 31,402 lodgements and overturned the decision on 25% of those lodgements. 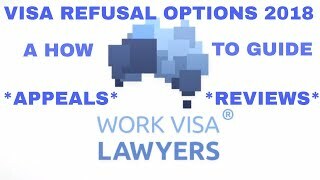 If you have received a visa refusal contact Work Visa Lawyers to see what your appeal and review options are. The planning levels control the number of Australian permanent visas that are granted each year. It is important to note that the planning levels are supposed to be used as a target, rather than a maximum. Unfortunately for the 2018 programme year, the planning levels for permanent visas continue to be significant but unmet. This bring total visas granted to a significant 186,515. With that being said, the Department of Home Affairs has not reached the planning levels in a number of years. In fact, figures reveal that the number of visas granted in 2017-18 was likely to be around 162,400 – the lowest level in seven years. If previous years are to reveal what is to be seen in the future, we may not see much of a change in the total number of visas issued during the 2018/2019 programme year. Moreover, even though a proposal to lower the total planned migration figures by 20,000 was rejected, there has still been conversation within the cabinet that suggests it is still a possibility. In 2018, regional businesses lobbied and raised concerns for more regional migration while bigger cities faced some negative effects of population growth. In return, the Department of Home Affairs implemented some new policies and enacted some new visas. There has been many conversations as to the best ways to implement change of migration areas including the possibility of encouraging migrants to settle outside of Sydney, Melbourne, and other big cities. One policy change was to the Backpacker visa. The Australian Federal Government announced amendments to the Working Holiday Visa with the aim of helping Australian regional and rural communities. On 5 November 2018, Home Affairs and the Federal Government has announced 5 major changes to the current Working Holiday Visa. Expanding the regional areas where subclass 462-visa holders can work in agriculture (plant and animal cultivation) to qualify for a second year of stay in Australia. Currently only those who work in Northern Australia are eligible. Offering an increase in the annual caps to a number of countries that participate in the subclass 462 visa program. Increase the eligible age for subclass 417 visa applicants from Canada and Republic of Ireland to 35. Being that all of South Australia is a considered a regional area and that they have seen lower immigration rates even though South Australia has the infrastructure to support more migration the SISA visa was implemented. The visa will likely be more successful for entrepreneurs than the current 188E Entrepreneur Visa, which requires capital backing of at least $200,000. Instead of requiring this funding, applicants’ proposals will be vetted by State or Federal Government entities, with these entities able to partner with incubators and accelerators to identify potential applicants for nomination. The DAMA is a labour agreement for a designated area, that can provide access to a larger amount of occupations and may have lower requirements. The DAMA allows employers to be approved to then sponsor applicants through the TSS 482 and the 186 visa. Currently, the Northern Territory has a DAMA, and the Great South Coast including the Warrnambool area of Victoria will soon have a DAMA. There are potentially more areas to be added in the near future including, Orana region of NSW, Pilbara and the Kalgoorlie-Boulder regions in WA, as well as Cairns in Far North Queensland. The DAMA is a great option for states and territories to have. This especially because of the current immigration climate in Australia. With half of all applications are being refused, compared with 13% in 2016. Moreover, processing times for the regional sponsored migration scheme visas have grown from four months at the beginning of 2016 to 23 months this year. The (DAMA) agreement makes it easier to bring in migrant labour than the skilled visa program and opens the door to semi-skilled migrants. Once a business is approved to be a sponsor under the DAMA, the business will be opened up to a wider range of potential occupations to sponsor. What I am most interested in, are the issues such as, where the DAMA could add more occupations. I would love to hear from farmers and others in the agricultural sector about their interests and questions in relation to areas with occupational shortages. There is an MIA conference in Adelaide on regional migration coming up soon and I would be happy to bring up issues such as shortages in the agricultural workforce. The regional migration conference is on March 30th and is open to everyone. "From late-2018, our Home Affairs’ offices will only provide services to people who have a letter from the Department inviting them to attend an appointment in-person." Department of Home Affairs will be cutting services further, including making it more difficult to speak to a Home Affairs face to face. A concern that I have, is that Home Affairs will decline to give you an appointment when you request one. Directing you back to the website or to call the Department. There is a push to providing minimal information and counter service at the Department of Immigration offices around Australia. There is the ongoing visa streamlining process, where the number of visa subclasses is being reduced from over 100 visas to the target total of 10. This has been successful in some areas, such as with putting all student visa applications under the one subclass 500. As mentioned in the RSMS summary, the changing of the RSMS criteria, including the adding of the requirement of the applicant needing three years full time post qualification experience, has put the RSMS closely in line with the ENS. This effectively removes any incentive for applicants to choose to go to regional area, where they could do an ENS and live in Sydney or Melbourne. The Government has been decrying the issues with congestion and high levels of immigrants choosing Sydney and Melbourne, but some of the changes made contribute to this very situation. In 2018 there were further moves to share data between the ATO and Home Affairs, in relation to salaries for employer sponsored applications and the visa holders tax records. This is a sensible measure to ensure the integrity of the employer sponsored visa system. The Department of Home Affairs changes its website in late 2018 and now much of the previously available information is not available to the public. Be prepared from frustrating search results including the phrase ‘404 – Page not found’. The current Department website as they will be clogged up with enquiries. Thank you for reading our summary of the 2018 Australian Immigration Programme year. We appreciate all the support from our followers over the past years and we are committed to providing up to date, accurate immigration information to the community. To assist you further we have also written a brief summary of predictions for the 2019 programme year. 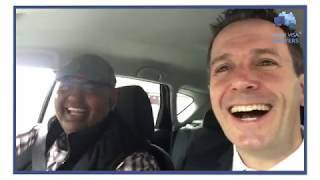 For those who prefer videos over articles, check out our Youtube channel for Australian immigration video updates. ***The Information provided is accurate with the Department of Home Affairs at 29/01/2019. At Work Visa Lawyers we are experienced in assisting applicants in all matters relating to Australian visa applications, including state sponsorship applications. Our areas of expertise include Skilled Migration visas, Business Skills Migration visas, Employer-Sponsored Work Visas, Partner, and other Family Migration visas as well as Migration Review Tribunal, Judicial Review and Ministerial Intervention. Australian Immigration News for January 2015 - New English Tests / Partner Visa Fees Up / Chef and Motor Mechanic now great options!